As much as we loved the characters he created and the cartoon industry he is credited for, few of us actually loved the man himself. The “anti-Semitic industry lobbying group” with which Disney was associated was the Motion Picture Alliance for the Preservation of American Ideals. The group’s statement of principles said nothing about Jews; its declared purpose was to prevent “Communist, Fascist, and other totalitarian-minded groups” from gaining a foothold in Hollywood. Among its members were politically conservative actors such as John Wayne, Clark Gable, and Ginger Rogers. But some of its other members were accused of being privately anti-Semitic, and in general it had a reputation as being reactionary. 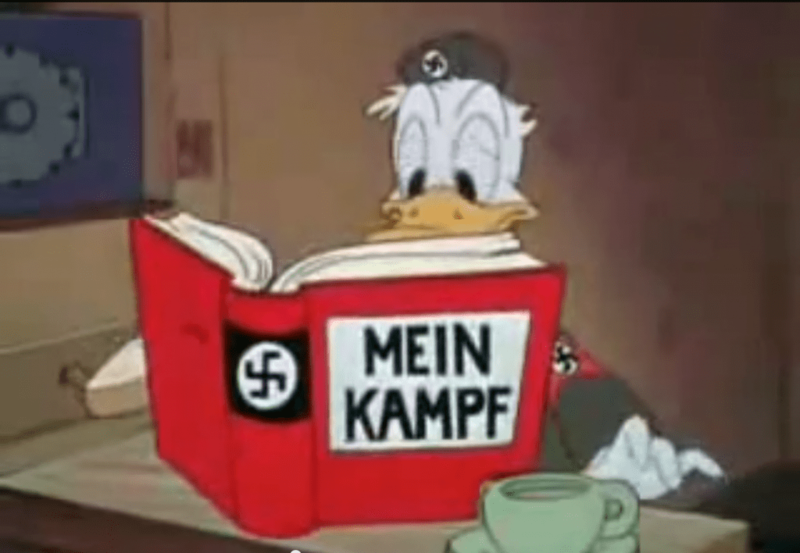 So, why all the fuss today when an Egyptian Donald Duck tweets anti Israel sentiments?? THAT IS NOT ANTI SEMITISM AT ALL! Another snipit from the article link above about Walt Disney…. If this statement is true about Walt Disney this makes me very sad because I have loved him my whole life. But to hear that he gave money to and supported the terrorist Irgun gang, thereby aiding them in the theft and murder of the Palestinian people and their homeland really truly breaks my heart. I hope very much that this is not true about him. What the Disney company does today in the absence of Walt Disney does not surprise me since it is now a mass corporation whose CPOs and majority share holders are mostly Zionist Jews. Sad that fact that is too. I simply do not believe that if Walt were alive today and were totally educated on exactly what “israel” is he would never support it in any way shape or form.